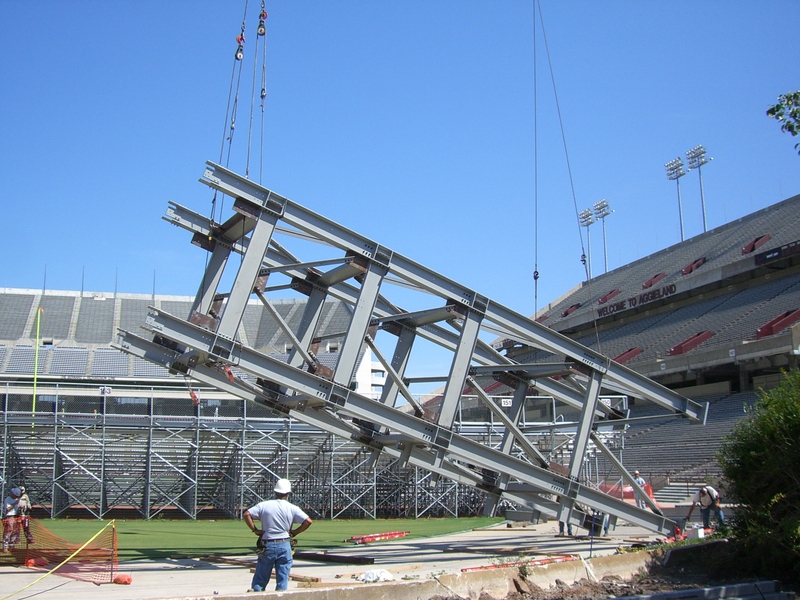 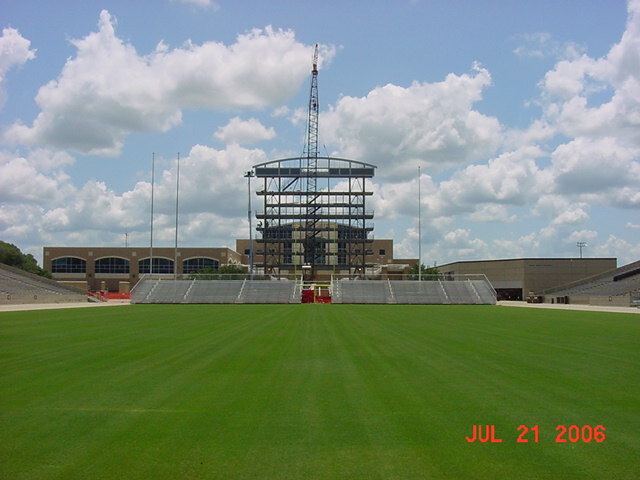 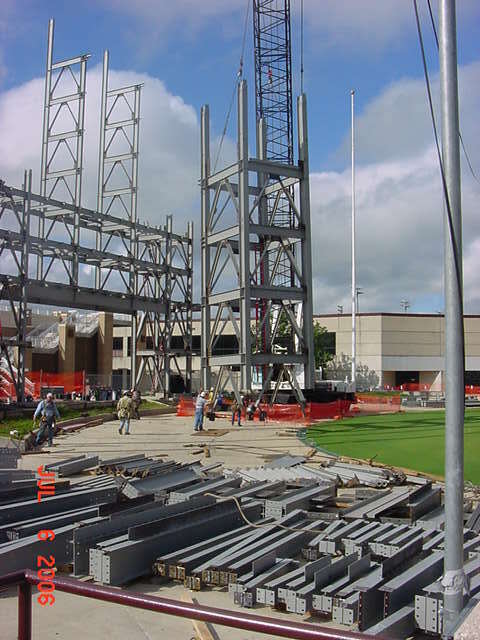 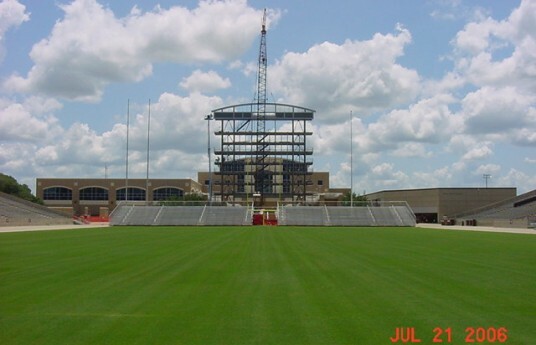 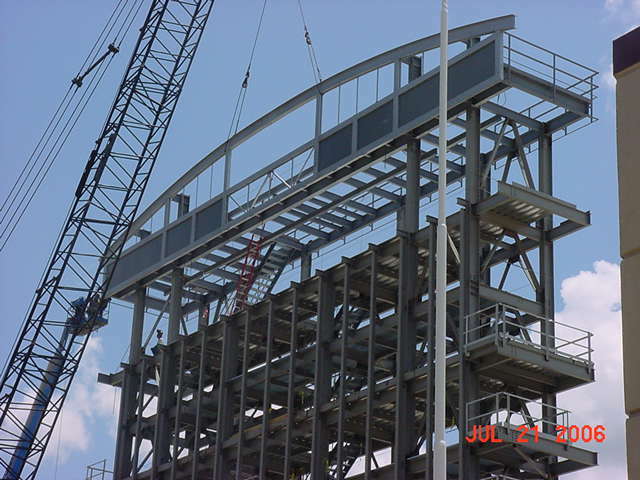 Comments: Scoreboard structure framing consisted of two towers with infill framing between to support video screen and related equipment. 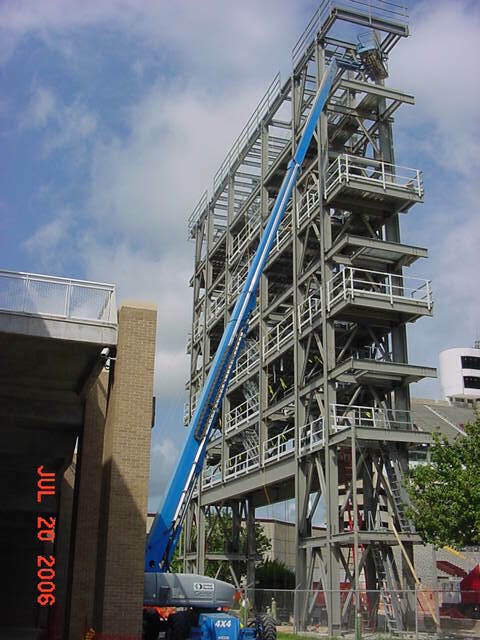 Our team pre-assembled the tower units on the ground and hoisted in four main sections. 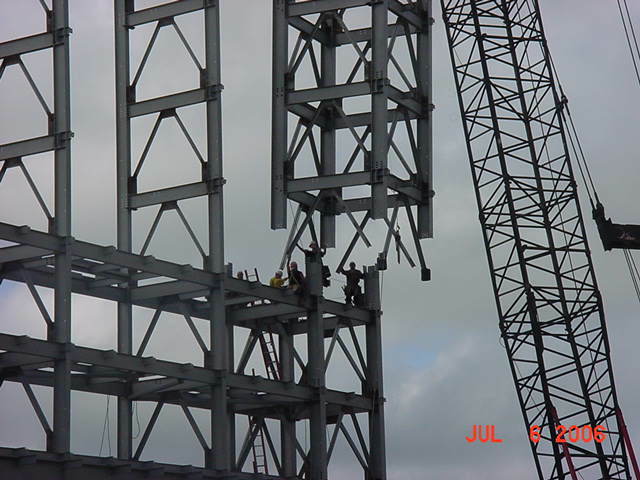 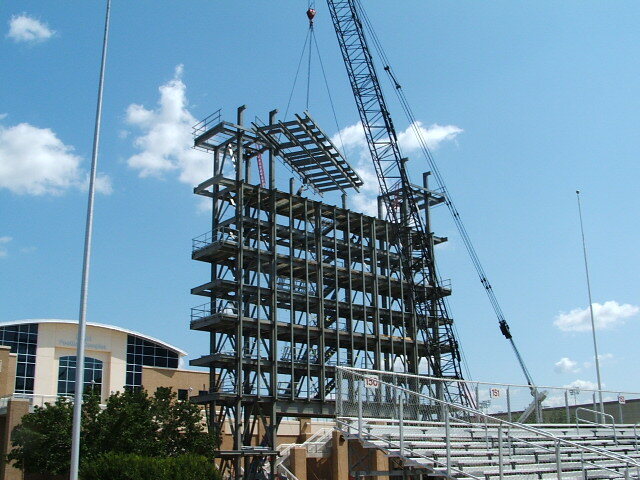 With limited time allowed for erection, our crews turned over the structure within three weeks on a four week schedule. 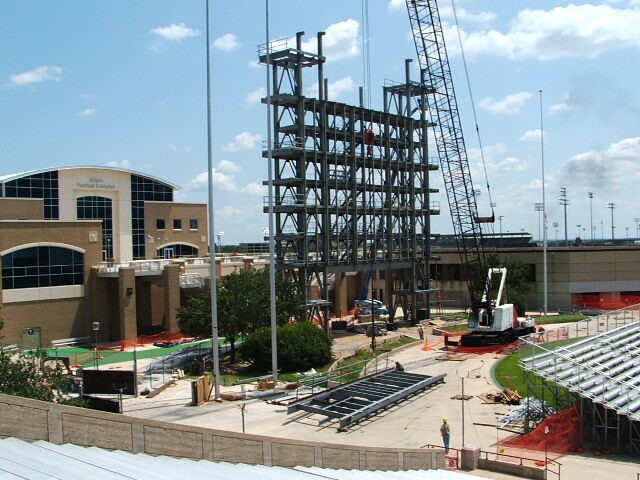 The Aggies made their first home game with their new screen given our preplanning.